Nicaragua’s President Daniel Ortega Saavedra has named First Lady Rosario Murillo as his running mate and candidate for vice-president as he seeks re-election for a third term. Rosario Murillo already has a prominent role as the chief government spokeswoman and is widely seen as sharing power with her husband. The first lady appears on Nicaraguan TV almost every day. Critics accuse President Daniel Ortega and his wife of running Nicaragua – which has elections in November – like a personal fiefdom. While Daniel Ortega rarely speaks to the media, Rosario Murillo is regularly seen on TV discussing policy and promoting her own brand of New Age spirituality. Mother of the president’s seven children, Rosario Murillo is fluent in English and French in addition to being a renowned poet. Rosario Murillo also has a reputation for wearing colorfully extravagant outfits and jewelry more commonly seen in the hippy 1960s. Correspondents say many Nicaraguans see Rosario Murillo as wielding the most power in her country because of her higher public profile. 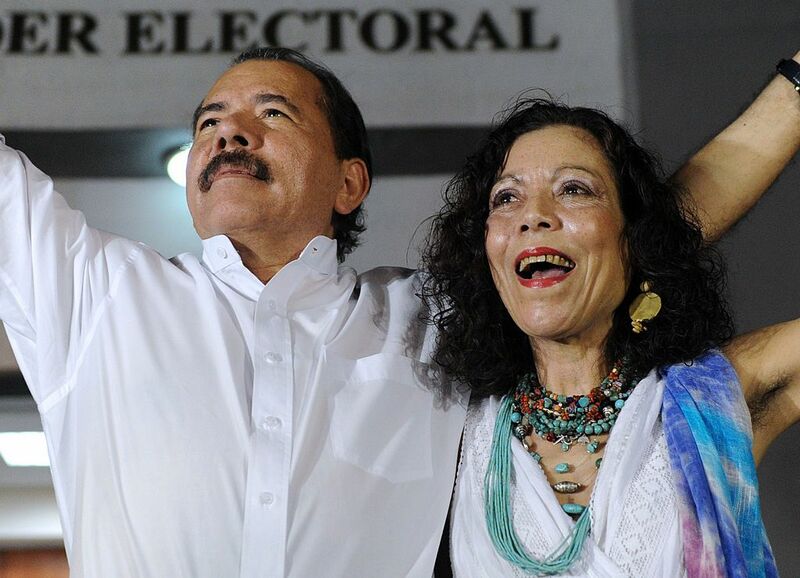 Daniel Ortega, 70, and his 65-year-old wife officially submitted their candidacy papers in the capital Managua, accompanied by the legal adviser of their Sandinista party. Hundreds of Sandinista supporters cheered the couple when they left the building. However, opposition supporters are concerned her promotion may herald the rise of a new family dynasty in the impoverished Central American nation. Daniel Ortega is a former left-wing guerrilla who formed part of the government junta following the Sandinista revolution against the dictatorship of the Somoza family, which ruled Nicaragua for four decades. The Cuban-inspired Sandinistas seized power in 1979. The party lost elections in the 1990s, but Daniel Ortega returned to power in January 2007, after a successful election campaign.